At Somerset Dental Care, we like to ensure that every patient has access to the very best equipment and procedures in order to ensure they are getting the best dental care possible. One procedure we have found to be of the utmost importance is dental X-rays. Dental X-rays provide valuable information about a patient’s oral health including both teeth and gums. X-rays enable us to detect dental problems at an early stage, saving you time, unnecessary discomfort and money. The longer a problem goes on, the more work will be required. 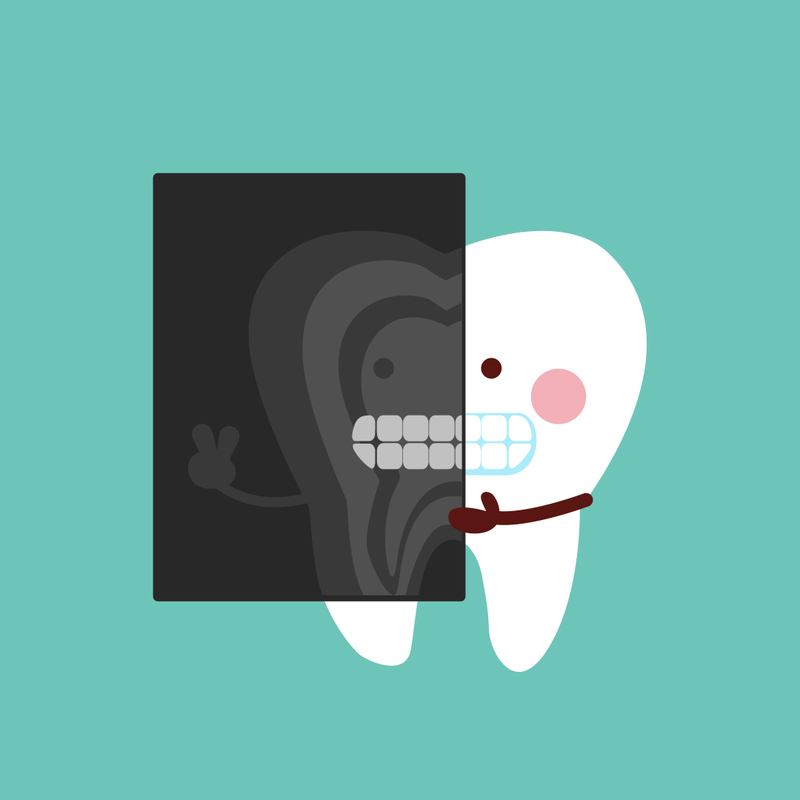 Like anything involving X-rays, there is always hesitation from patients using such methods, so we thought this would be a great opportunity to explore the two biggest myths surrounding dental X-rays. Myth #1: Dental X-rays can be harmful due to the radiation passing through the patient’s head. Fact: Because the amount of radiation used during a dental X-ray is so low, it could be applied to any part of the human body without causing any damage or harm. Due to improvements in technology, the amount of time needed to take an X-ray has decreased. Radiation can also now be focused, so only the teeth and mouth are exposed to the rays. To be honest, you are exposed to higher levels of radioactivity when cooking using natural gas, or flying in an airplane. There is no reason to worry if your dentist suggests you undergo a dental X-ray. In fact, ionizing radiation associated with dental X-rays represents no more than 3 to 5% non-natural radiation to which people are regularly exposed; the other 95% come from medical radiological examinations. Myth #2: Dental X-rays will affect a pregnant woman’s breastmilk, or adversely affect the pregnancy or child. Fact: Nursing mothers often undergo numerous tests including mammograms and X-rays to determine if they are in a proper state of health. Having a dental X-ray taken at the dentist is absolutely no different from any of these other tests. Somerset Dental Care ensures that all of our equipment is closely monitored, serviced regularly and quickly replaced when no longer relevant. Because we believe that our patient’s safety and oral care are our main priorities.